The boxing idea is probably the best though also the most work. You should use reinforcing as well other wise the curbing will likely break up over time unless it's on a good foundation. I'd consider using the timber attached to wooden stakes driven into the ground and screw or nail the 4 X 1 to the stakes to keep the 4 X 1 in shape. If you were to go down the boxing route you would need to be doing something similar but instead of just one side you'd need to do two sides for the boxing. Nails driven into the soil as you were thinking of will be futile. The soil won't hold the nails in place for long. That's exactly what I've done at my (rented) place. Galvanised is eventually going to rust if it's in contact with the ground, no matter how galvanised it is. In this case in particular if you're running a mower over it you're going to get non-galvanised areas pretty quickly. Unfortunately this just screams "concrete strip", that's the exact solution you want, and everything else will be just a poor approximation to it. Agreed - just looking to find another option other than the best one - concrete. Corten would have a nice rustic look to it for many years to come though! Ge0rge: Corten would have a nice rustic look to it for many years to come though! Possibly not. 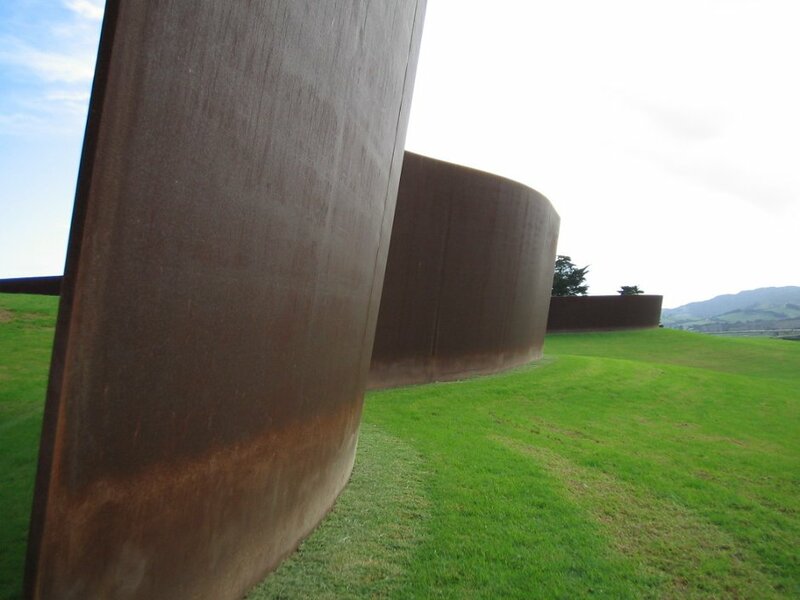 Corten steel relies on the thin layer of rust to protect it, you mentioned there are areas where it's quite wet, in which case it may not stabilise and will never stop rusting. The problem is the combination of (wet) ground contact and the fact that you'll be running a mower over it, that makes it really difficult to go past concrete, you've got dry, dampness, and physical abrasion (mower wheels and/or blade), which rules out most standard solutions. If you ever are able to go and see this, then do. What about good old 150x50 H4 retaining timber secured by pegs? Will survive fro many years in the ground. Secure with timber or galvanised pegs. Easy to work with. Hard to go radius around corners though. Search: ‘Surewall Sleeper Stake Galvanised 450mm’ on Mitre 10 website. Have seen corten edging used. The landscaper was hammering in rebar pegs then welding the corten to these to hold in place. Kickinbac: What about good old 150x50 H4 retaining timber secured by pegs? Will survive fro many years in the ground. Not sure 6 x 2 will bend enough, but Im close to a timber yard, so I can check there and test some lengths.